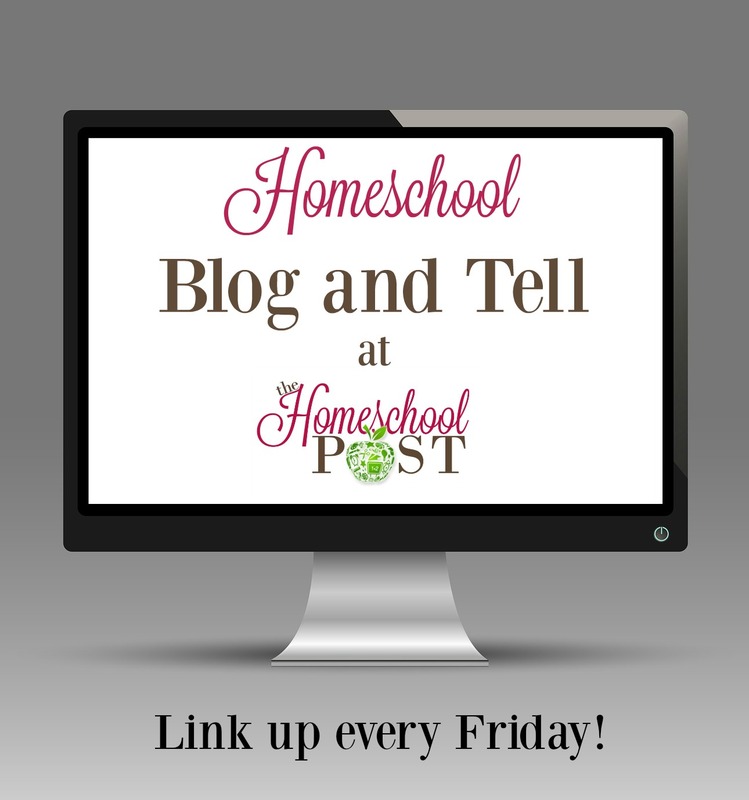 There is much debate and talk about grading schoolwork in the homeschooling community. I know moms who refuse to give grades, other moms who grade every paper. Some moms only grade tests and others wont start giving grades until middle school. I don't test or grade my kids at all. Usually not even when they ask! Much like everything else in homeschooling, there is no one right way or wrong way to do it. I think many homeschooling families grade because they're used to it having grown up in public or private schools themselves. Other families have to find a way to satisfy state guidelines. Yet, others do it because their kids ask for them. I'm grateful we don't need to keep grades or much in the way of the records because I truly don't believe grading kids is beneficial or helpful. My oldest son had so much anxiety over grades and testing by the time we pulled him out of school to start homeschooling that I purposely refused to grade anything-- EVER! I know that may sound extreme... but... my kids are perfectionists and I found that grading and testing them actually had them performing worse, brought out anxiety and insecurity, and did not truly show me what they did and did not know. Often even if they got most of the answers right on a test (when they were in school) they could not and would not recall the information weeks later. So I started thinking long and hard about grades. What do they really show us? When else do we ever get graded in life? Think about it do you get graded on anything you write or do unless you are a student in a classroom? 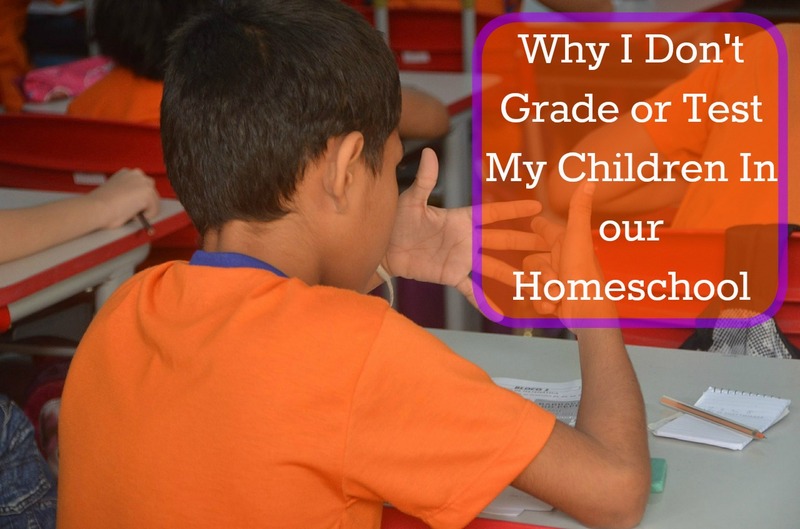 Grades don't have any real world relevance and for me homeschooling is about trying to educate my boys while keeping the real world practices front and center. Yes, my boys need to know how to do math. Yes, my boys need to learn how to read, spell, and write. Yes, my boys need to learn how to communicate effectively with others. Yes, my boys will need to know history and science facts. But, my boys don't need grades to learn any of that. Let's face it; grades are just a fancy name and way for ranking kids. Sure it helps to see if the kids know the material but even without a number grade on the paper it is easy for me to see if my child understands the material or not. Being home with only 3 students allows me to make sure they're mastering EVERYTHING. If we're working on a workbook page or sheet and they get a few wrong we go over it, fix it, and they tell me the right answer. If they're getting everything wrong than I know we need to cover the material again. I don't need grades to see what they're learning and they don't either; and really isn't that the whole point of schooling anyway? Why introduce something that would make my kids anxious and nervous about learning when we can focus on fun instead? I know that if my kids are going to go on to college I will probably have to introduce grades, testing, and note taking but for now I can keep focusing on what does work for us and that's focusing on the subject matter at hand and not one the grades. Visitng from Education Possible...I completely agree with you. I believe that grades and testing are detrimental to a quality education. I think public schools have pretty much proven that with their standardized test mentality. As homeschol parents, we are around our children enough to know how well they've learned something without testing them on it. I am not a homeschool mom, but I was homeschooled K-12, and I loved being graded (and I was a perfectionist!). My question is, How can you prepare your child for test-taking in other environments, not to mention college, if they don't experience the grading system and the pressure it brings? Also, I loved grading my own work, so how do your kids not just end up discovering their own grade once they see how many they answered incorrectly? I'm just a little confused by this non-grading idea! I did say in the last line that if they plan to go onto college I'll have to introduce grades and testing at some point... but probably not until the last year or so of high school. Grading and testing doesn't take long to figure out since usually a test is just regurgitating what you already know. I can't think of any other environment where the'd have to take a test but I am confident that they'd be smart enough to figure it out. My kids don't try to figure out their own grades because they don't really remember much about being graded. They know if they get a lot wrong or struggle with something we'll work on it more until they understand but if they get most or all of the page right they can move onto the next skill or page. Not everyone loves being graded and my kids would prefer not to know. I support that and we'll reevaluate as we need to. Interesting! Never known people who didn't want to be graded, so this is new to me. And what about a driver's test? I actually asked my boys about this after reading your comment today because I had not thought of their driver's test (and in our state my boys also have to take a boating class to drive our jet ski)... my oldest is only 12 but already drives all sorts of equipment and four wheelers, etc. up and down our private road and all over the property. He shrugged and told me testing isn't that hard or mysterious; especially when the test is multiple choice. His words: "I'll read the manual, know the material, and just answer the questions. I don't think I'll have any problems." I'll admit I was relieved to hear his side of things and I love his confidence. I am not a fan of tests. I agree that test should be given on a HS level to help prep the kids for college, but testing all the time is a bit much and does now prove a thing. Pretty much how I feel. We'll slowly start introducing tests in high school for those kids that plan to go onto college. I don't grade either...the stress for my lad isn't worth it. Grades will come somewhere down the road. In the early years of our homeschool, we used workbook curriculum with a test at the end of each (12 tests/grade in each subject). So those were graded, but once we got away from that sort of curriculum, there weren't regular tests in everything. We've done tests in some of the curriculum that we've reviewed (Literature comes to mind), and in spelling. We've even done DIY CAT testing from FLO several times--which may be an option for you, just to introduce the testing experience. Testing is a tool. I think it's fine if we control the testing, rather than letting the testing control us or our homeschool.